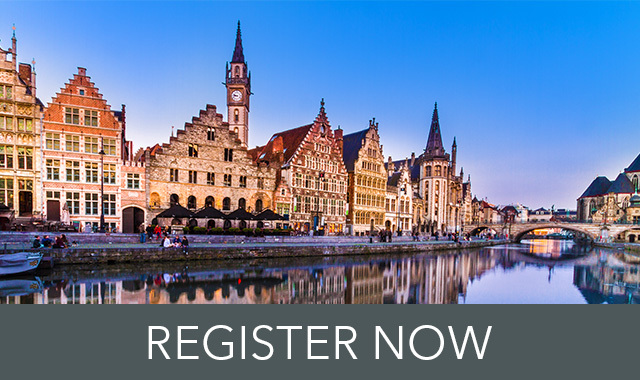 Join K2 for our exclusive K2 for SharePoint launch event at the prestigious Ghen t Marriot Hotel in Belgium. Earlier this year K2 released K2 for SharePoint 2013, allowing users to build and run business applications within SharePoint - using forms, workflow, data and reports. This announcement was made in conjunction with the K2 Appit launch at the K2 User Conference in Las Vegas. With this successful launch, we are now bringing Vegas to you! We have an exciting agenda planned, and are delighted to announce that Principal Consultant from RealDolmen, Joris Poelmans, will be giving insight into how companies are using SharePoint today. Learn how to start solving your business challenges by delivering meaningful business applications with K2 Forms, Workflows and Data. Fast. Gain thought leadership perspectives from respected FWD thinker and Principal Consultant at RealDolmen, Joris Poelmans, about the future of business process applications. Protect your investment in SharePoint and other systems by connecting them through a no-code, cloud-based platform, creating workflow and forms apps that seamlessly integrate with SharePoint online, on-premises or both..
12:15 - 12:45 - WHATS NEW IN K2? build components, like forms and workflows once and reuse them across all your applications – in and out of SharePoint. This launch event allows you to network and hear from leaders in organisations with similar challenges to yours. K2 customers now have the ability to create scalable and secure no-code apps that span on-premises, cloud and hybrid SharePoint environments, without sacrificing capability or control.